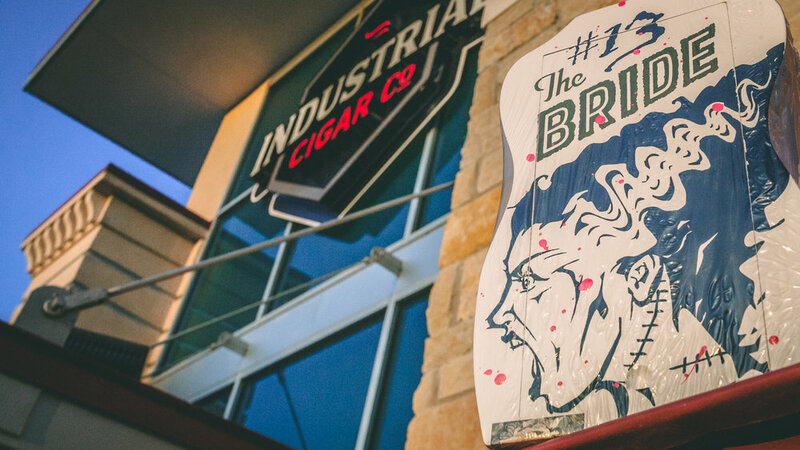 October 2018 Happenings — Industrial Cigar Co.
(Sept. 29, 2018, Frisco, TX) Industrial Cigar Co. has been announced as a 2018 Tatuaje ‘Unlucky 13’ Dealer. An honor given to only 13 dealers worldwide. We are proud to receive the award and look to pass the offerings to our members and ICC Family. We are currently working closely with Darren Cioffi (Owner of Principle Cigars), and Hendrik Kelner Jr. (Owner of KBF Factory) to develop our ICC house blend. Named simply “The House,” this cigar will be developed to resemble many of the characteristics of the Principle Aviator Series, while providing a $10 price tag ($8 for members). Look for the blend to be primarily Dominican tobacco, this will be a session-able cigar that will be clean on your palette while finding the “Goldie Locks Zone” of medium body and full flavor. The House is expected to release in time for the holidays and be a perfect gift for anyone in the house. Stay tuned for updates. October’s featured cigar is one that was a standout at IPCPR for the Industrial Cigar Co. ownership. With an unmatched value for flavor, this is a cigar you owe it to yourself to smoke. New to the Industrial Cigar Co. Humidor is the newest Edgar Hoill creation, the OSOK San Andrés. A 100% Pure Mexican Tobacco cigar shows that San Andres Tobacco is nothing to mess with. For those who have tried it, you already know. For those who haven’t, keep your eyes open for them hitting our shelves again soon. They go fast (at a rate of about 30 boxes per week). Price point is phenomenal and the experience is matched only by the $16+ Casa Turrent 1880.